Hello! 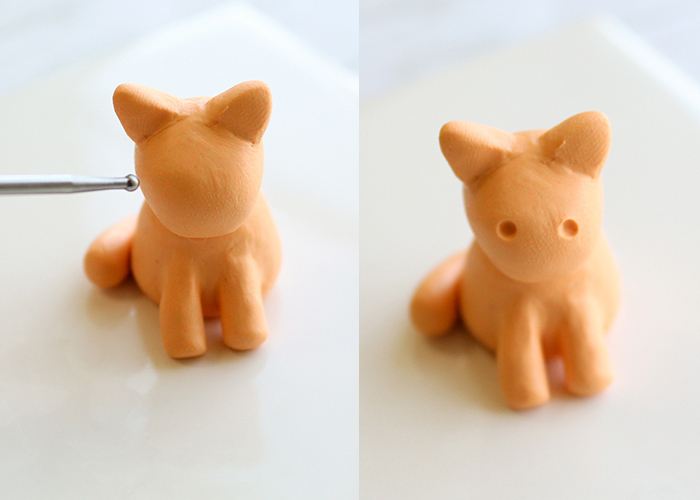 I’m so excited to share this adorable Polymer Clay Kitty Tutorial with you! 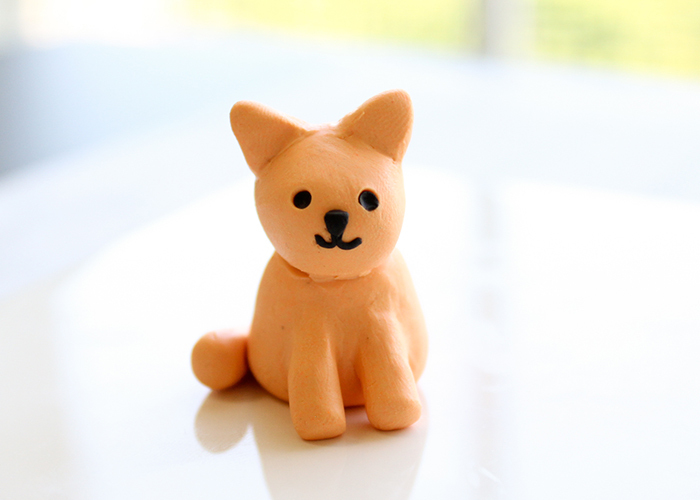 This little kitty’s name is Creamsicle, and she’s a cute little friend who is easy to make. 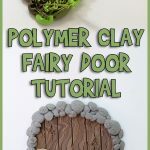 You can make just about anything out of polymer clay if you can look at something and break it down into basic shapes. 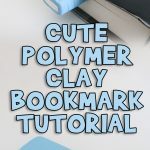 If this is your first time working with polymer clay, make sure to check out my Introduction to Polymer Clay post for some basics! Let’s get started! Plain copy paper. For baking the clay on. 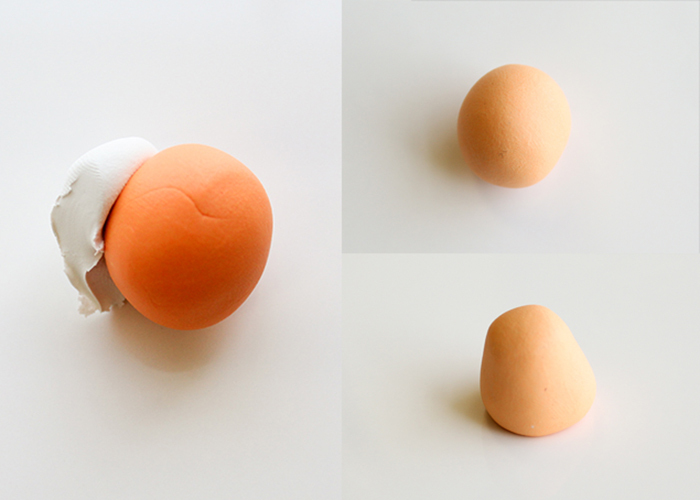 Start by mixing the orange and white clay to make a creamy pastel orange shade. Always mix more of a color than you think you’ll need, because it’s hard to replicate mixed shades. Take some of this color and roll it into a ball, then form it into a gumdrop shape on your work surface. Push the gumdrop shape to the side a bit, so it looks like it’s leaning over. This is the body of the kitty, so set it aside for now. 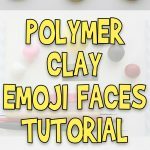 Now take a small amount of clay and roll it into a ball, then into a snake. Use the pad of your finger to round the ends of the snake like shown. Take your blade tool and cut off both ends of the snake at an angle. These will be the kitty’s front paws! 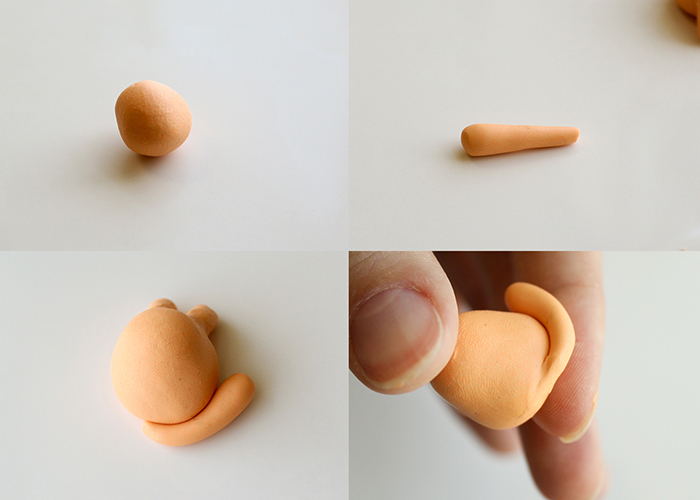 Take one of the paws and attach the angled end to the flat side of the gumdrop shape. Make sure the round bottom of the paw touches the work surface. Then take your needle tool and blend the edges of the angled end into the body. 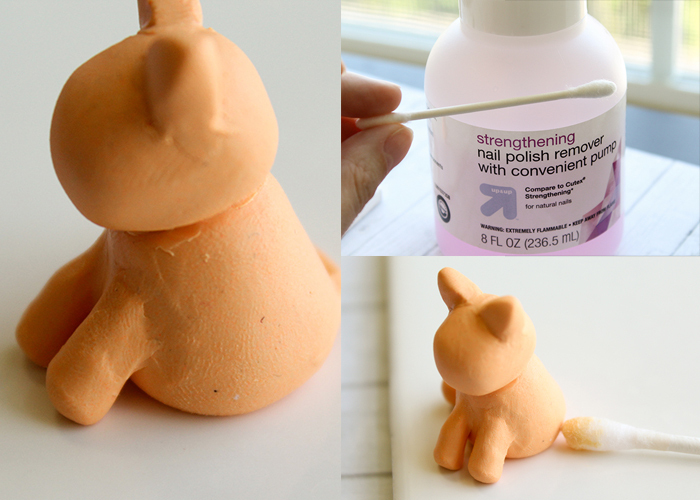 This helps the two pieces of clay adhere to each other strongly, and makes it look like the paws are a part of the kitty’s body. When you’re done with the first one, attach the second front paw in the same way right next to the first one. 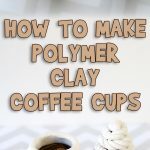 Next, grab another small amount of clay and roll it into a ball. 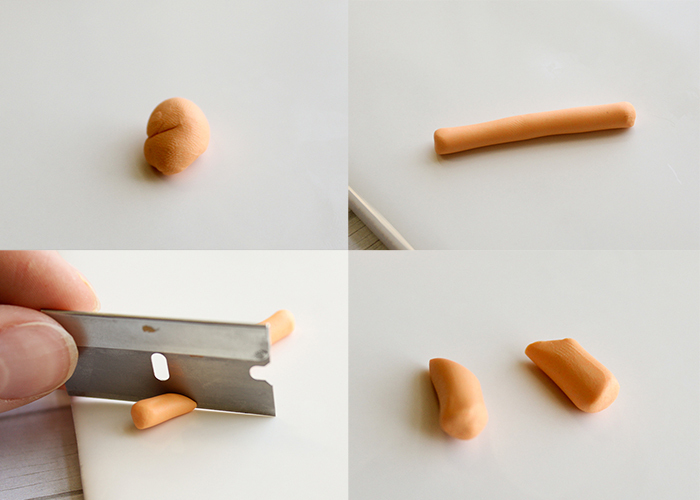 Then roll it into a tapered carrot shape, and use your finger tip to make the larger end nice and round. Wrap this piece around the back of your kitty, with the small end centered. This is your kitty’s tail! Take your needle tool again and blend the small end into the kitty’s back, and press the rest of the tail around the kitty gently. Now it’s time to make the kitty’s head! 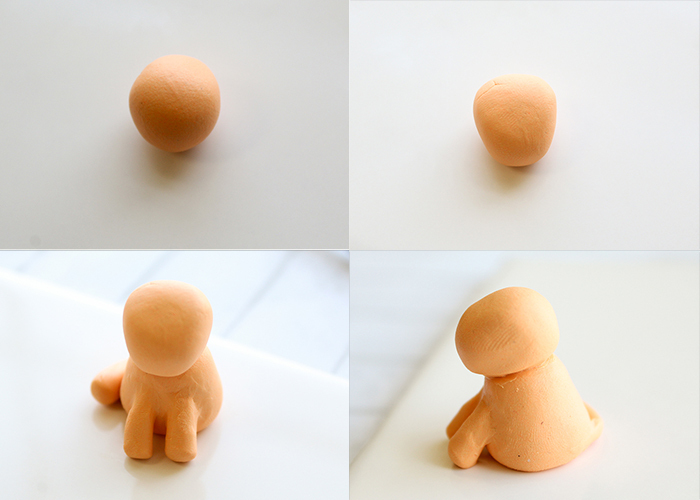 Take a ball of clay about half the size of kitty’s body, and form it into a rounded off triangle shape. 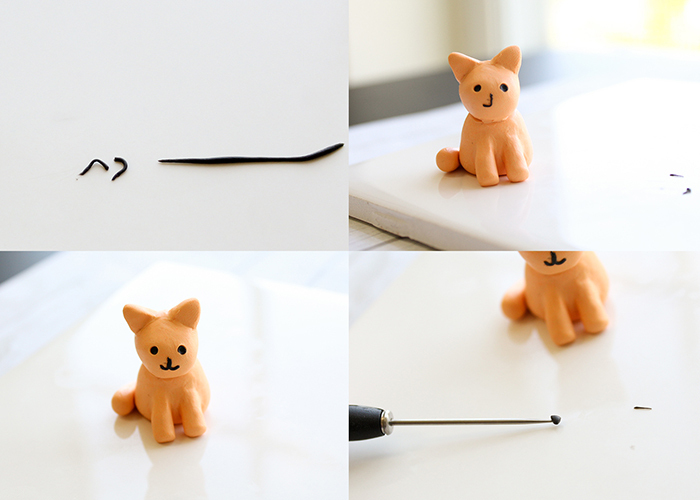 Press this gently onto the top of kitty’s body, and use your needle tool to bland the head into the body. Next make a small diamond with some of the clay, and cut it in half to create two triangles. 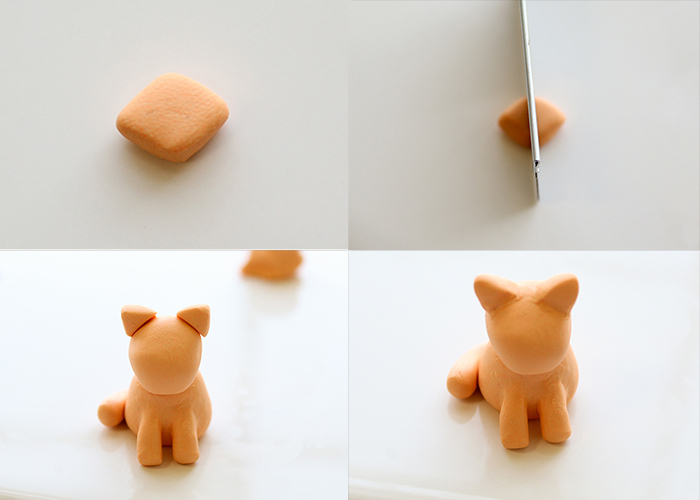 Place these on top of kitty’s head and use your needle tool to blend them in. See all the dust, fingerprints, and bits of rough clay on kitty? Here’s how we smooth that out! Take a cotton swab and dip it in a bit of nail polish remover or rubbing alcohol. Then gently rub it over your kitty to smooth out the rough joins and fingerprints. This will also remove some of the dust, but not all of it. The best way to avoid dust on your clay is to keep your working area as clean as possible. See how smooth and clean kitty looks after a little touch up? Now we’re going to work on the face. 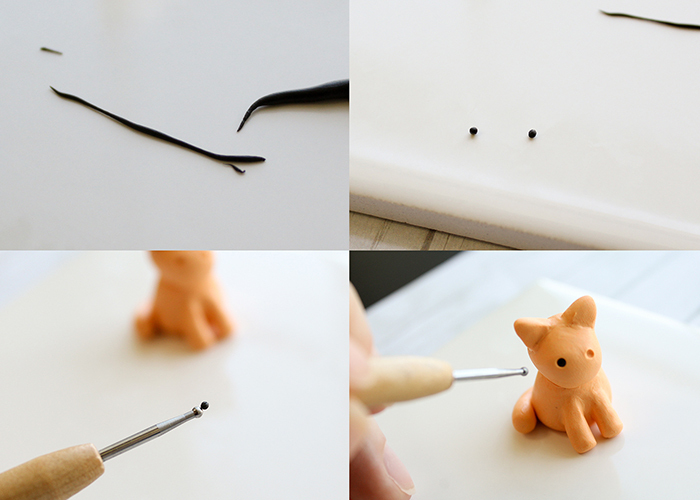 Using your dotting tool, make two indents where you want the eyes to be. Roll out a very thin snake of black clay, and cut two small piece off of it. 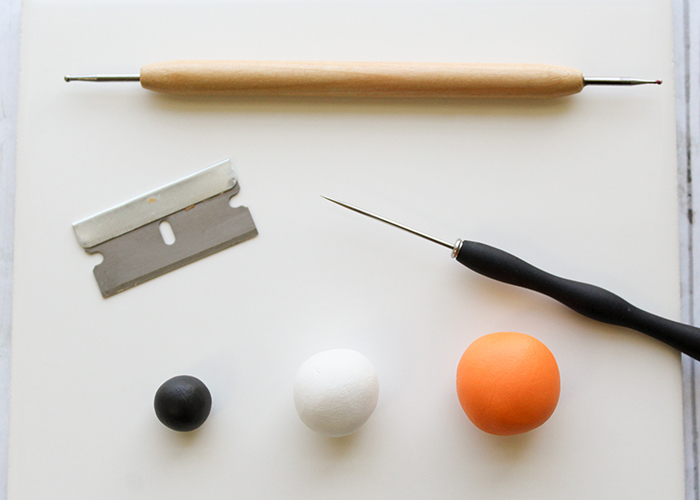 Roll these into balls that are the same size, and pick these up using your dotting tool. Place these into the indents for the eyes, and press gently to fill in the space. 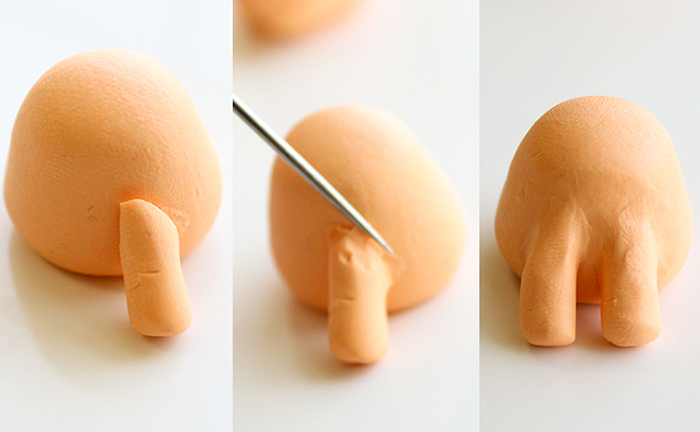 Now cut off two longer pieces of that thin clay snake, and form them into J shapes. Place them on kitty’s face one at a time, making sure the stems are touching, to make the kitty’s smile. Next, take a piece of clay slightly larger than one of the eyes and work it into a triangle shape. Then place it over the top of the J shapes, creating kitty’s nose. Gently press the nose and mouth down with your finger. And you’re almost done! You just need to bake your kitty in the oven as per the clay manufacturer’s directions. 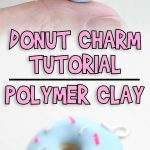 Make sure to put a piece of plain copy paper under your clay so it doesn’t develop a shiny spot. 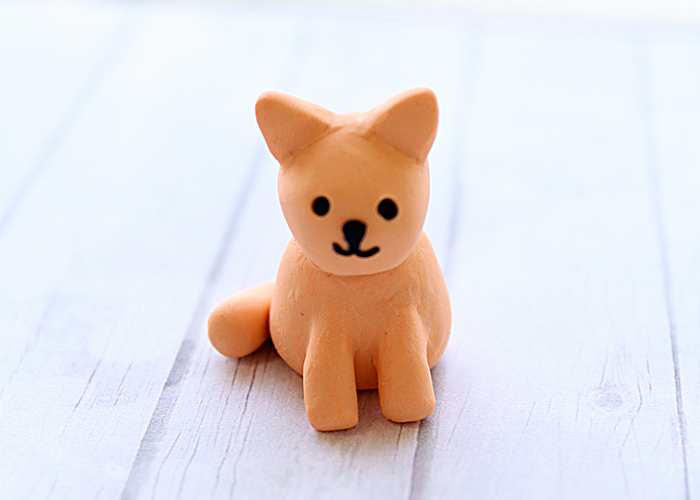 My kitty was about half an inch thick, and I used Sculpey clay, so I baked mine at 275 F for 30 minutes and it turned out perfectly. Here’s your finished kitty! 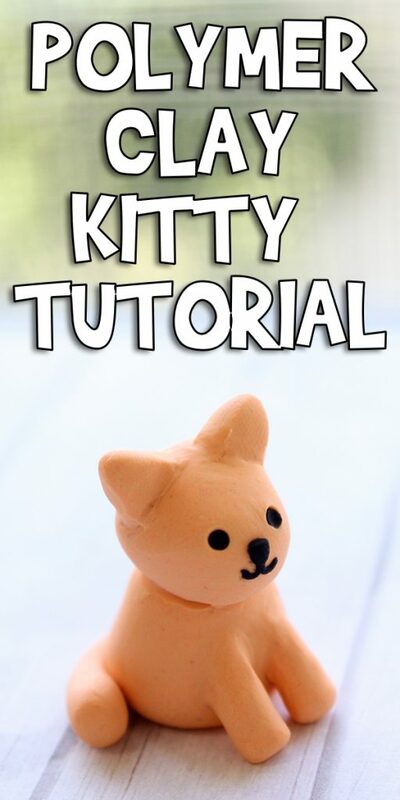 I hope you enjoyed this Polymer Clay Kitty Tutorial!